Salespeople can and do succeed without ever building a business network, but these salespeople are probably working ten times harder to generate sales than their colleagues who do practice good networking. A solid network will bring you leads... help you set up meetings with otherwise unreachable people... and even give you a few shoulders to cry on when things aren't going well. Networking is, at its core, relationship-building. You are making a mutually beneficial connection with someone, for business reasons. Sounds a lot like selling, doesn't it? A lot of the skills you need to build and maintain a network are the same skills you already use to sell your product or service. So in addition to networking's other benefits, it's a great opportunity to polish your sales skills. The first step is getting in touch with the right people. Your nearest chamber of commerce is a great place to start – these organizations are designed to promote networking between local businesses. 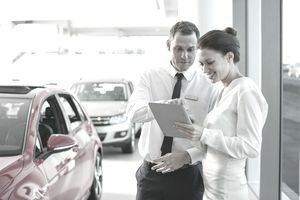 There are also a number of sales organizations that will help you connect with other sales professionals. Such professionals can help out not only with leads, but with job opportunities and sales training as well. Industry conventions are a perfect place to meet and greet potential contacts. Every attendee who isn't a salesperson from a rival company is a potential customer. Even the other salespeople can be helpful contacts, as many will be from companies whose products complement yours, rather than directly competing with you. The Internet offers tremendous opportunities to set up networks. LinkedIn is a business-centric networking site that's designed to make it easy for you to get in touch with potential resources. It also hosts training materials and mentoring groups. Other well-known social networking sites, like Facebook and Twitter, are also ideal places to look for new connections. Volunteering is a wonderful way to meet people and also do some good. You can volunteer for non-profit organizations, churches, mentoring programs, community outreach programs, industry-related groups, and dozens of other local and national organizations. Volunteer positions usually require a significant time commitment, but they will also allow you to meet people you might otherwise not be able to reach and provide an easy way to build rapport with those people. Whatever means you use to expand your network, you'll need to keep everyone's information organized. It does you no good to make five contacts in the insurance industry if you can't remember their names or phone numbers! A business card scanner can help; you can scan a new contact's card and keep the information in digital format. Many scanners can automatically export their data into the CRM of your choice. But if you don't want to invest in specialized hardware, a basic spreadsheet – or even that old standby, the Rolodex – can work just fine. The trick is to pick a system that suits you and update it regularly as you collect contact information. It's tempting to try to sell your products to your networking contacts, especially when you're falling short of your goal for the month, but resist the urge. Making a sales pitch to a contact changes your status from 'business connection' to 'annoying salesperson.' It's fine to let your networkees know what you do and perhaps tell them a bit about your products and services, but always err on the side of caution. Once you've built a basis for your network, you can't just stop and rest on your laurels. Your contacts require the same kind of attention and give-and-take that you would provide in any relationship. If you only call your contacts when you need a favor, you'll soon find yourself relegated to voice mail with no hope of a call back. On the other hand, people like to do favors for other people, as long as they don't feel that you're taking advantage of them. If you observe the basic social courtesies – call or email regularly just to catch up, help your contacts out when they need it, and thank them promptly when they help you – you'll find that most of your contacts will be eager to help you.